Here’s an article I wrote about Saudi Tourism and the Economy for Internationale Politik magazine, the magazine for DGAP (Deutsche Gesellshaft fur Auswärtige Politik), German Society on Foreign Relations. IP is a Germany’s leading foreign policy magazine that covers contemporary subjects from around the world. 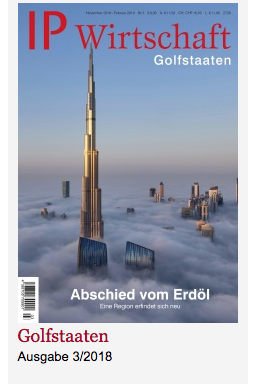 Their 03/2018 issue is about the Gulf States and the economy, and can be read online here: Wirtshaft Golfstaaten My Article “Ab in Die Wuste” can be found here. ( please note that it’s a premium content and to read full article the reader must pay the subscription fees). The online version is in German language but you can read a summary of the article below in English. Saudi Arabia is gearing up to become a future tourist destination for international travelers. 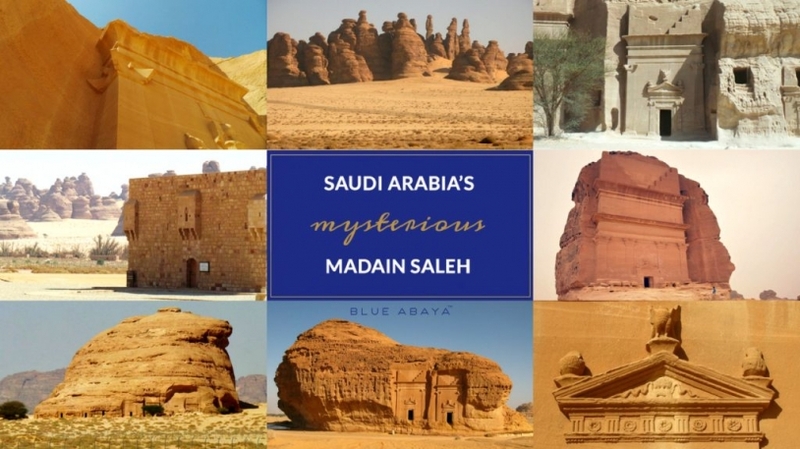 Mega projects, new cities, archeological surveys and developing entertainment are ways that Saudi intends to boost its economy through tourism. No Backpackers, souvenir shops or sounds of cameras clicking. Until very recently, Saudi Arabia has been a country infamously difficult for foreign visitors to enter on tourism purposes. Apart from religious tourism and business visits, visitors have not been able to enter Saudi Arabia in the traditional role of a tourist. For decades, only a few tour operators had special permission to bring in tour groups to Saudi Arabia, and those tourists were subject to various entry regulations and restrictions of movement. In 2018, Saudi Arabia has revealed its plans to begin opening the country for international tourism. Will this ambitious plan succeed, and if so, what are they key factors to determine success? Residents of the Gulf countries have been able to visit Saudi Arabia without the need for a visa but this is a small fraction of foreign visitors to the Kingdom. The majority of foreign visits to Saudi Arabia comes from the Hajj and Umrah visas, both of which allow entry to Muslims of all nationalities for a specific time period and area only. Hajj 2018 saw 1,75 million foreign pilgrims and a total of 2,3 million pilgrims performed Hajj in 2018. Umrah visitors during 2017 were a total of 19 million pilgrims visiting Mekkah and Madinah for religious tourism, of which 6,5 million pilgrims came from outside of Saudi Arabia. While the numbers of religious tourism keep growing and the religious tourism industry is constantly being developed and new facilities are being built to ensure the pilgrims a more comfortable experience in Saudi Arabia, there is no doubt that opening the country to international tourism will boost its economy even further. Saudi Arabia’s Crown Prince Mohammed Bin Salman announced the Vision 2030 plan to diversify the Saudi economy and a large part of the vision is developing the tourism sector. The plan is to create new jobs and attract foreign investors to the tourism industry. The Vision 2030 has launched several New “mega projects” such as the future city NEOM and the Red Sea Project, aimed to make Saudi Arabia an international world class tourism destination in the future. The implementation of opening up the country for foreign visitors is not a simple task. Since the country has remained closed from other types of tourism for so long, a sudden free access to a mass flow of tourists would not be feasible. In this sense a gradual step by step plan to open up the tourist’s access to the Kingdom would seem the best practice in Saudi Arabia’s case. And this does indeed seem like the direction that the country is moving to. Rumors of the tourist visas opening in April 2018 were circulated and then in late September 2018, Saudi Arabia announced the opening of the tourist visa for visitors coming to the newly announced Diriyah E- prix in Riyadh. These e-visas are a quick and simple way for international visitors to gain access into the country. By opening the tourist visa for a specific event and time frame, the flow of the visitors will be easier to control in a sort of soft opening phase. This way it will be easier to prepare and plan ahead for opening the unrestricted tourist visas. A purchase of the formula-E ticket is required to apply for the e-visa online on the Sharek website, created for this visa application process. The formula E visa is valid for a duration of 14 days. So far it seems that there are no restrictions on who can obtain this visa in terms of age, nationality or gender, as earlier has been speculated might be the case. There is however a mention of restricting the area in which the tourists would be able to visit, but no further information on this can be found the website currently. Attending sports events and festivals might be the first channels through which international visitors will be welcomed into the country, and tying up the visas to an obligatory ticket purchase is a guaranteed way to generate income from tourism. The reason behind restricting the tourists to certain areas is most likely due to many of the more rural areas currently lacking the sufficient infrastructure and services to welcome a large amount of visitors. There are massive development projects going on all over Saudi Arabia to develop facilities, infrastructure and hospitality sector to welcome more visitors in the future. The capital Riyadh and the two large cities of Jeddah and Dammam however offer a good network of hotels and other facilities for the tourists and these areas are ready and able to host foreign tourists. Saudi Arabia certainly has the potential to attract more visitors with its unique and diverse landscape, remarkable historical sites and colorful culture. Saudi Arabia is a vast country with plenty of beautiful landscape and opportunities to experience different types of tourism. The main landscape regions that have potential for developing tourism industry are the modern cityscapes of the large cities, different types of desert terrains, the Red Sea coasts beaches and underwater world, and the mountain areas of the South. 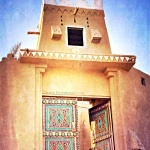 A large quantity of historical sites from different ancient civilizations can be found in all regions of Saudi Arabia. One of the aims of the Vision 2030 is to develop the national tourism and attract more Saudis to stay in the country for their holidays. There is a huge flow of tourism and spending flowing into the neighboring countries and several measures have been taken to lessen this loss of potential income to the Kingdom. These measures have started to show a positive effect, the number of tourists from Saudi Arabia visiting Dubai in 2017 decreased by 7% to 1.53 million visits, however Saudi Arabia still remains in the top three source markets for Dubai tourism. The drop in numbers of Saudis visiting Dubai could be explained by the increased efforts by Saudi Arabia to develop the entertainment sector and national heritage tourism. Saudi Arabia’s General Entertainment Authority (GEA), launched in 2016, is a part of the Vision 2030 efforts to boost the local economy. Through its mission to “diversify and enrich entertainment experiences around the Kingdom of Saudi Arabia”, the GEA aims to organize, develop and lead the entertainment sector to provide exciting entertainment options in all regions of the country. The projects launched by the GEA aim to keep the tourists inside the Kingdom, who would have in past years sought for these same entertainment opportunities, such as movie theatres and concerts, in other Gulf countries such as UAE, Bahrain and Kuwait. The Gulf tourists visiting Saudi Arabia (apart from the religious tourism) have main interest in the heritage tourism and milder climate of Saudi Arabia. Abha and its surroundings are popular places for Gulf residents to visit in the summer months, due to its pleasant, mild climate and green scenery. During the winter months many of the Central areas in Saudi Arabia offer very cool climate which attracts the Gulf visitors. 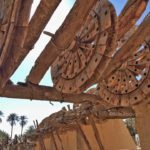 Another draw for the GCC market is Saudi Arabia’s large heritage festivals such as the Janadriyah Cultural Heritage festival, attracting over 3 million visitors annually, Souk Okaz and the King Abdulaziz Camel festival. Since the launching of the 2030 vision, several projects to develop the tourism and entertainment industry have been launched. The most ambitious project is NEOM, the future city. NEOM promises “The world’s most ambitious project: an entire new land, purpose built for a new way of living”. Other mega projects evolve around the Red Sea coastline, the Red Sea Project and the most recent addition of mega projects, Amaala. Qiddiyah is a project to build an entertainment city including a Six Flags amusement park on the outskirts of Riyadh. Various projects to develop UNESCO sites such as the historical city of Al Balad in Jeddah and Turaif district in historical Diriyah are in progress. Once ready, At Turaif will become the largest open-air museum in the world. All of the mega projects promise to create jobs and offer investment opportunities to foreign investors. These projects are very much needed and once completed will offer a variety of options for both national and international tourists. Al Ula valley boasts an incredible array of historical, nature and heritage sites. Thanks to Al Ula’s location in a protected valley with plenty of water sources, this area was inhabited by different civilizations for thousands of years and was the hub for trade routes. These civilizations have left their marks on the rocks of Al Ula, in the valleys and the forgotten cities. The desert landscape of the Ula valley is breath taking and otherworldly, something which cannot be found elsewhere in the world. The Al Ula Royal Commission was established to help centralize the development of the entire area into one body. The goal of Al Ula Royal Commission is to transform the area into one of the world’s premiere destinations for history, nature and heritage. With France as the main partner in achieving the goals to transform Al Ula, the development projects a long term plan which will empower the local community and boost local economy. Al Ula Royal Commission, established in 2017 is responsible for the survey of the Al Ula archaeological sites including Hegra ( Mada’in Saleh) The Lion’s Tombs (tombs of the Dedan Kingdom and the Ikhma library. These sites were closed from public visits in December 2017 and are estimated to reopen for tourism sometime in 2020’s. The archaeological survey is undertaken by several international teams of archaeologists to make sure everything in the area has been discovered, before building or developing the area further. After the surveys have finished, the sites will be developed to handle a large number of international tourists. World class services and facilities will be built, in accordance to protecting the value of the sites and the surrounding nature. The SCTH, established in 2000 and headed by HRH Prince Sultan bin Salman, has been very active in the past years in developing the tourism sector through several different projects. The main goals are to develop heritage sites around Saudi Arabia, rehabilitation of archaeological sites and readying them for visitors, developing the hospitality sector and listing more sites as UNESCO World Heritage, bringing the total number of sites to 7. The SCTH works together with the National Transformation Program, which aims to provide the youth with more job opportunities and better the quality of life for everyone. The real challenge might come from convincing the Saudis that opening tourism is a good idea in the long run. From the economic perspective it will bring an undeniable boost, but the concerns evolve around the ideologies that the more conservative part of the society fear tourism will bring along. One of the main keys to the success of the tourism then, would be to involve the Saudi youth in tourism projects, training them in tourism and hospitality sector. 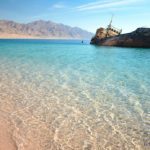 A major role would be creating awareness of the available options for tourism in Saudi Arabia, which many Saudis surprisingly are very unaware of. Boosting pride in national heritage sites, nature and interest in attending the culture festivals are ways to motivate and include the youth in this process. Saudi Arabia’s ambitious plans to make the Kingdom a world-class tourism destination in 2030 all well on the way. Once completed, the development plans will offer a selection of “something for everyone” and Saudi Arabia has the potential to become one of the “must visit” places on earth. Dear Donald Trump. Welcome to Saudi Arabia! Images of Saudi is back! 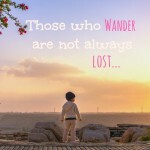 « Weekend Staycation in Jeddah-Why You Should Visit Jeddah!